Are you dissatisfied with your low conversion rates? Do you want to learn how to get more users to sign-up to your website? You should consider conducting A/B testing for your pages. A/B testing involves creating two versions of your site and tracking conversion results to determine which page is more effective. 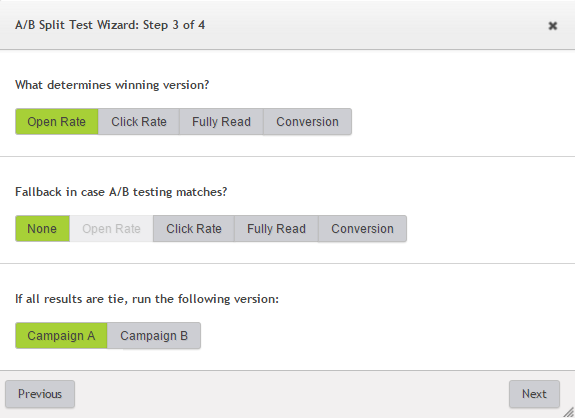 According to Steelhouse.com, A/B testing is the most used method to boost conversions. Decide the purpose of your testing. Test only one element between the two versions so you can determine the exact factor that is causing higher/lower conversions. Different content such as titles, banners and layout templates. Each element above influences your user’s behavior while interacting with your contents. When designated properly, they can push users to complete a number of goals, such as: signing-up for your newsletter, downloading your e-book, registering for a webinar, or subscribe to your blog. Confusing or poorly designated layouts, could lead visitors to leave your website without engaging with your brand. A/B Testing email campaigns are the best way to optimize your marketing results. You simply create two versions of the same email and send them to a portion of your subscribers. The email which results in more conversions is sent to the remainder of your subscribers. If your test shows little to no difference between the two emails, you can conduct a second test changing a different element between the two emails. Sometimes changing one small item can cause a significant boost for your conversion rate. Subject lines are often the first and last impression your subscribers will have of your email communications. Most individuals receive hundreds of marketing emails every month, as a result, convincing them to open your content and read it requires a very well written, compelling subject lines. You might have amazing content inside your email, with an appealing CTA (call to action) button, but the open rates are low. The reason could be your subject line isn’t appealing enough to draw your user’s attention. 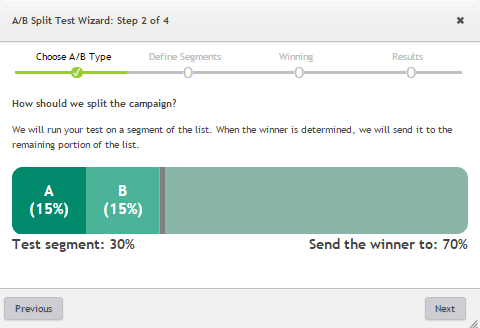 Our Vbout platform has tools that guide you easily through setting up A/B tests, below are examples from this platform that show how easy it is to conduct these tests. Choose what you would like to A/B test. You can either choose subject line, email sender, from name or different content. After you click on the subject line button, select next, and a text segment screen will appear showing the percentage of email subscribers you wish to devote for each version. The photo above is just an example of the percentages you can select for the test. You can choose a percentage depending on your objectives. If you choose to give 15% to A and 15% to B, the remaining 70% will receive the winning version of the test. A/B testing subject line to. However, it is not a fixed number. You can choose whatever percentage you wish depending on your objective. If you choose to give 15% to A and 15% B, the remaining subscribers is the 70% whom you wish to send the winner variation to, which is either A or B. Open rate: The number of subscribers who open your email. Click rate: The number of subscribers who click through the links in the email. Fully read: When an email is read in it’s entirely by the recipient. 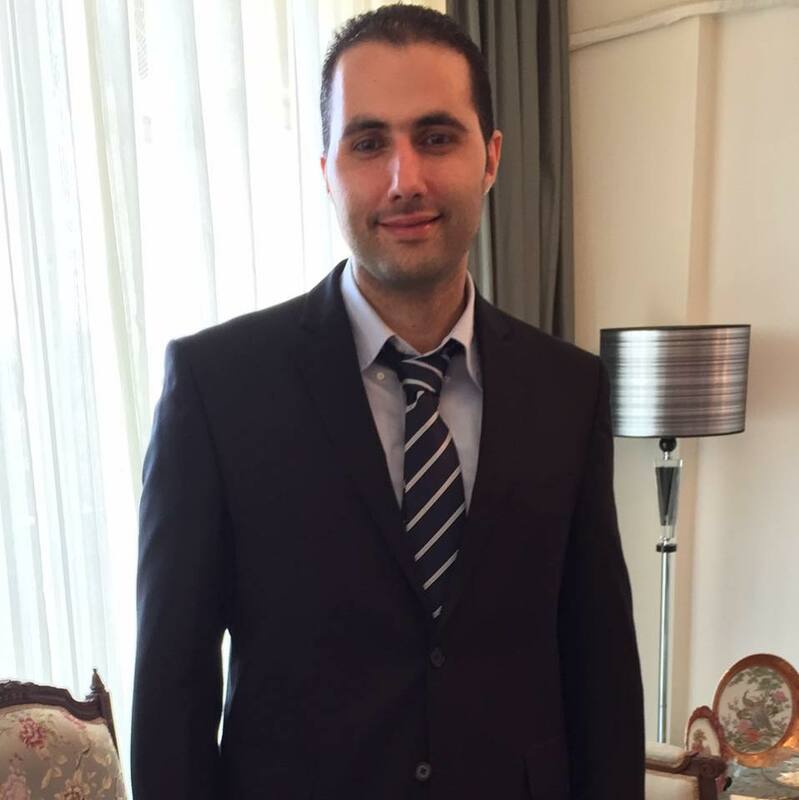 You also choose which of the campaigns you want to use in the event that there is a tie between the two. According to Emarketer, the metric most used by marketers in October 2014 to determine the success of an email subject line is the open rate. 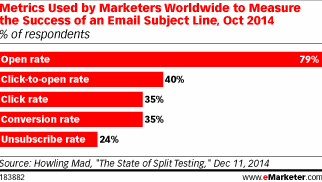 Additionally, the subject line has some of the greatest impact on your email open rates. After you determine the winner of your A/B test, you will need to set the time the remaining subscribers will receive the winning email. It is better to allow your campaigns to run a few hours before sending the remaining emails so your subscribers have to complete the goals you set for the campaign. The time you choose depends on your campaign. In addition, the color of your CTA may affect your conversions positively or negatively depending on the assembling colors of a single page or the compatibility of the color with your website theme. You can change the color of your CTA buttons if you notice that the green button is not giving you enough conversions. CTA buttons play a major role in pushing your visitors to either convert or bounce from your site. According to EConsultancy, the use of A/B testing between companies has increased from 27% to 38%. If you’ve not been using A/B testing yet, then you’re missing a great opportunity to improve conversion results and generate leads. Focus on the most elements that are useful in generating leads to your business and start optimizing them.